How can architecture reinforce a client's mission and ethos? The design for this cafe near the U.C. 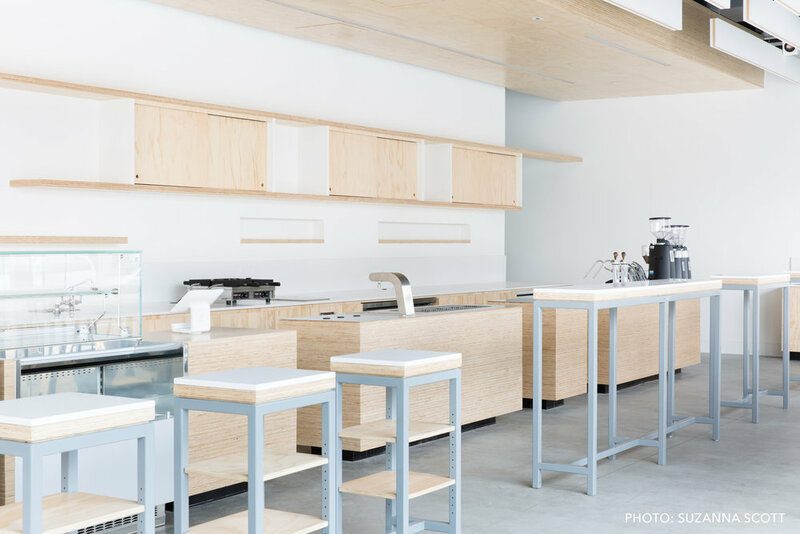 Berkeley campus utilizes a modest material palette in innovative ways to create a subtle, elegantly textured environment that amplifies and engages with the experience of craft coffee making. 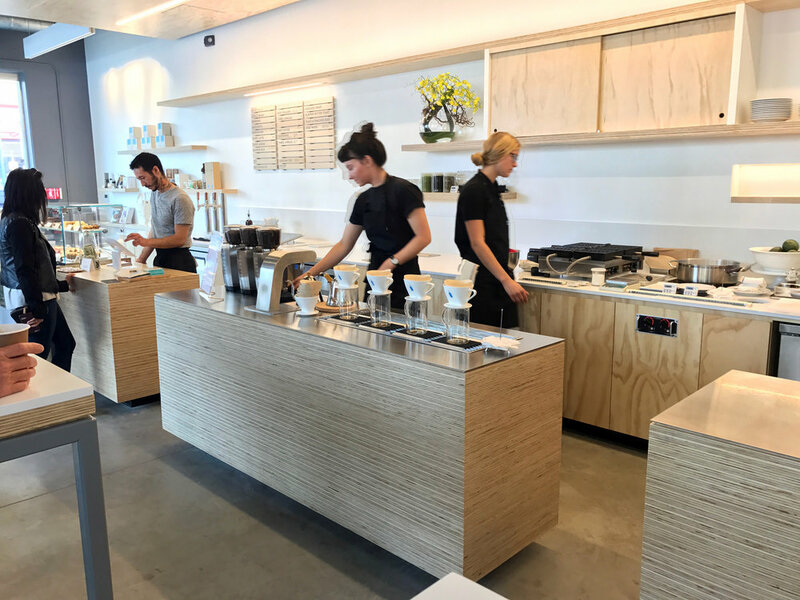 At the front counter, individual service modules, each just a few feet wide and only two feet deep, create an intimate setting for interaction between barista and customer. Lighting, shelving, customer tables and acoustical baffles overhead all mimic the dash-dot language of the modules and lend a sense of ordered yet playful movement to the otherwise unremarkable concrete shell. 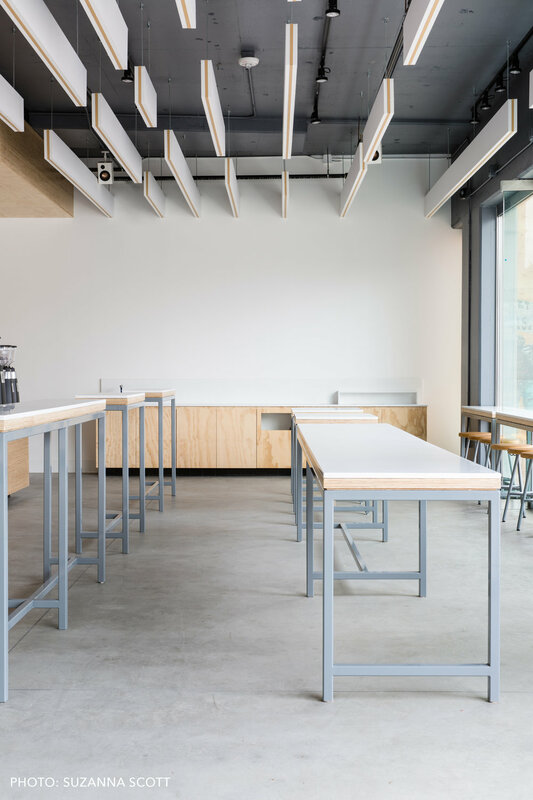 Throughout the cafe, standard pine ACX plywood is elevated and expressed through stacking and exposing of the raw edge. At the service modules, sheets of 3/4” plywood are CNC-milled into “C” shapes and stacked to create solid blocks of edge-grain plywood, without seams or miters, their interiors digitally "carved out" for storage and equipment. The soffit above is faced with the same stacked material, concealing lighting and hvac equipment while highlighting the service area below. 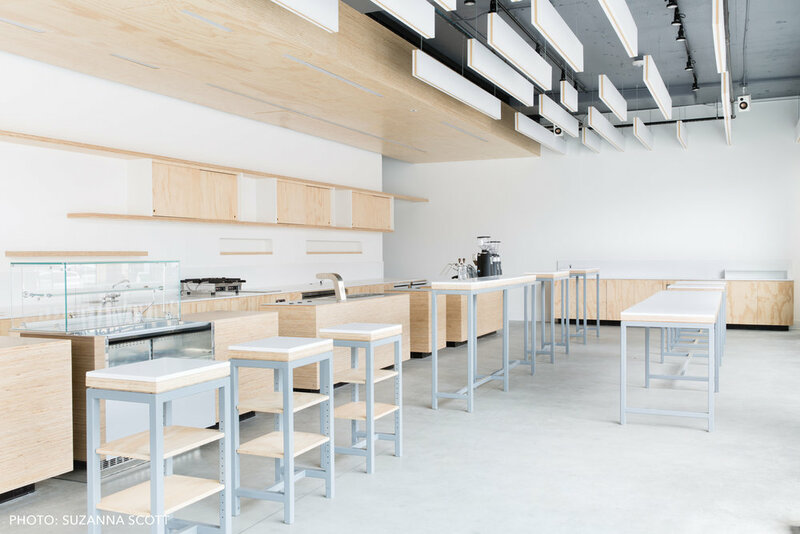 Face pine plywood cabinets, stainless steel plate and white solid-surface counters round out a restrained material palette. Custom furnishings provide a variety of seating and standing options for customers.